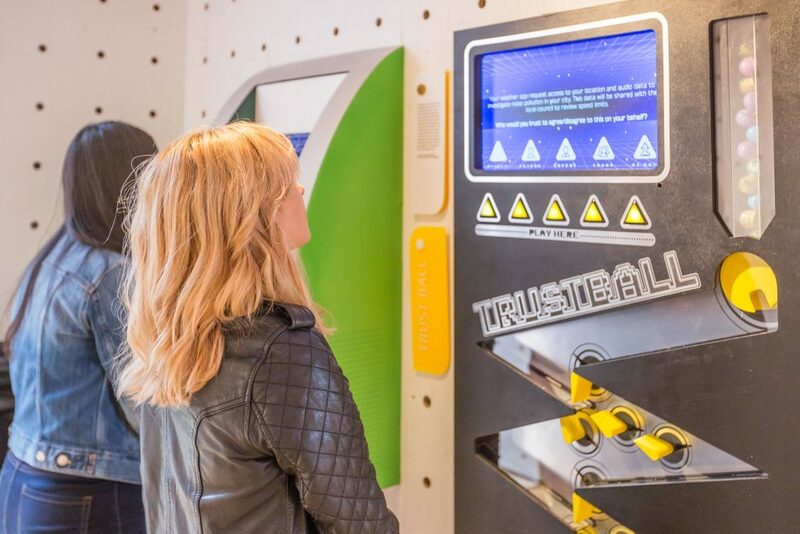 As part of the Edinburgh Festival, we have developed a public installation to explore issues of trust and consent in digital systems with the general public. 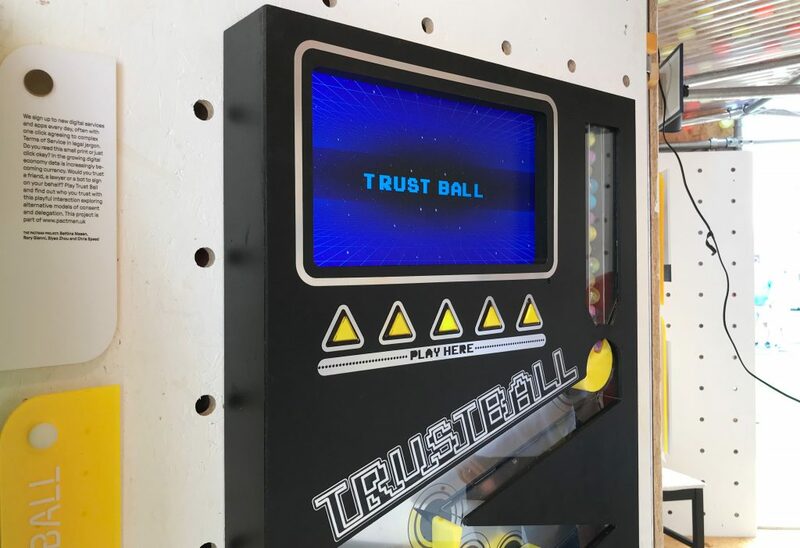 Installed in the Design Informatics Pavilion “Data Pipe Dreams: Glimpses of a Near Future”, Trustball aims to playfully engage audiences with the fairly dry topic of agreeing to Terms and Conditions. We are all familiar with and are regularly signing up to new services, websites or apps online which prompt us to accept the Terms of Services (ToS). These have become increasingly complex and their details are often opaque to the user. A quick one-click act of consenting to complex legal jargon in a hidden fine print has become an accepted practice for most users. 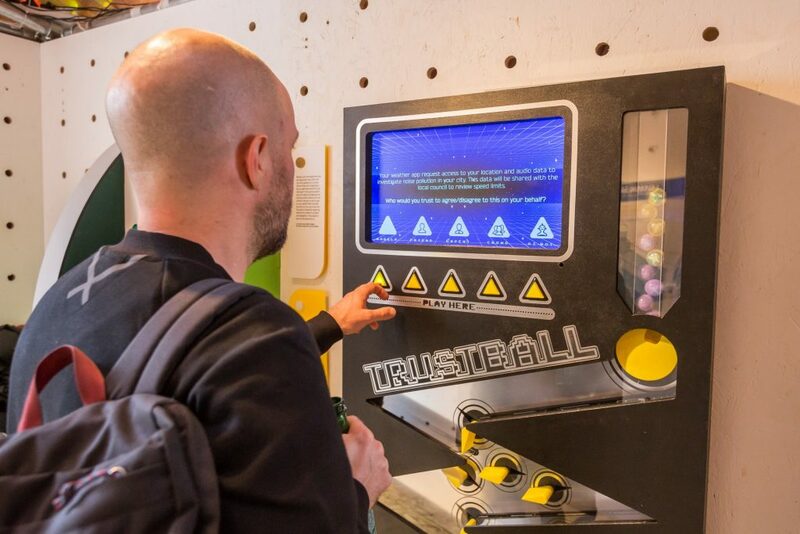 Trustball aims to explore this moment and interaction of digital consent further and question how we might agree to ToS in the future. By playfully engaging audiences with a tangible, arcade-style game, we aim to reveal and challenge people’s ToS practices and explore potential novel practices of delegating consent. The flawed practice of individual’s accepting ToS without reading them has become common place but how can we move away from the individual’s responsibility of accepting consent? By exploring alternative models of consent and delegation, we ask if there could be other models of delegating consent and if so, who would you trust to understand the legal jargon and have your best interest at heart? Would you consider delegating this responsibility to someone else or would you want to remain in control? Who would you trust to advise and accept the right kind of ToS on your behalf – a friend, an expert, a group of people or a bot? 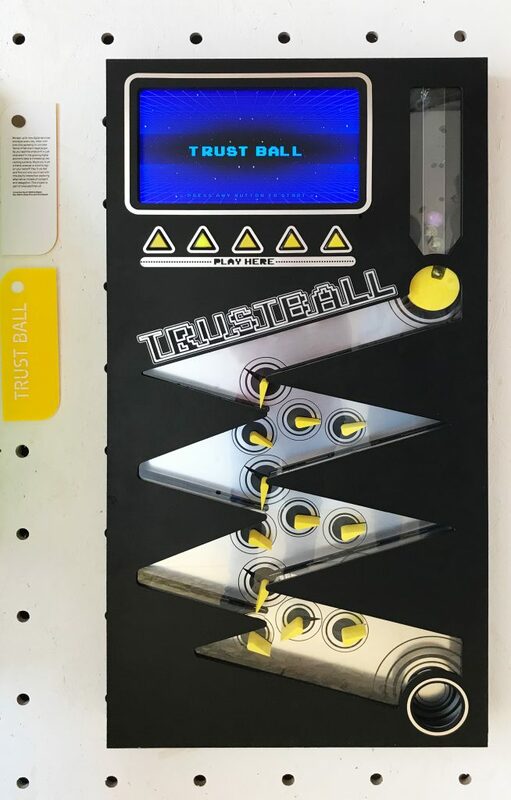 If you would like to play Trustball and see who you would trust with this playful interaction, you can find us outside the Assembly Rooms on 54 George Street in Edinburgh (EH2 2LR) from 2nd – 25th August 2018 (11am–6pm). If you would like to know more about Trustball or have any questions, please email bettina.nissen[at]ed.ac.uk. We will be running a workshop as part of the DRS conference in Limerick on the 25th June 2018. 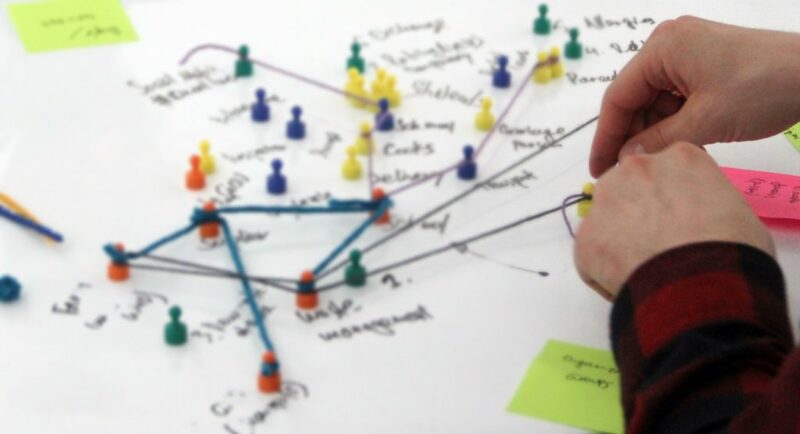 This design workshop will be highly participatory with a short introduction to distributed systems followed by several group activities exploring trust in digital systems. We will investigate the changing trust relationships in existing centralised to more distributed systems using a wide selection of tangible materials. 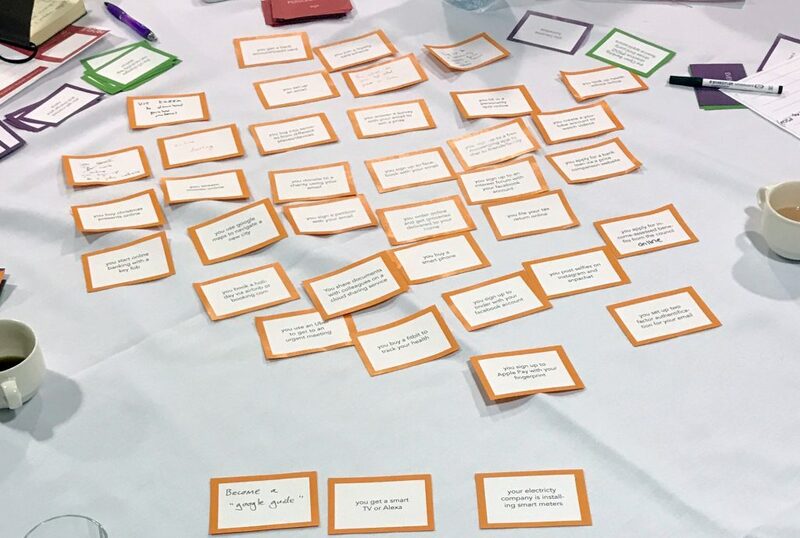 Using material affordances to represent different relationships and aspects of trust, participants will map relations between individual actors and organisations. Discussing and highlighting existing trust relationships and potential shifts emerging in distributed systems will raise questions around existing trust relationships in digital systems and how they emerge or manifest. Who do we trust and how do we build trust? What are the relationships between trust and aspects of transparency, control or convenience? What influences trust in digital relationships, and ultimately, what can the design community learn from this untangling of trust relationships in future distributed systems for novel forms of interactions? Using accessible, tangible tools in this workshop to investigate trust relationships will also offer insights into material affordances, their potentially representative nature of trust and their prospects of facilitating debate around various forms of relationships in distributed systems. The workshop will take place on Monday 25th June 2018 from 14:00 – 17:30 at the University of Limerick in Ireland. Find more details about the workshop here or have a look at the overall conference programme on the Design Research Society website.